Since our last update, we killed all the things! Not only did we kill all the things in Velious -- we also killed all the things in Luclin, which is quite the feat considering how much trash is in Vex Thal. At this point, I think I can safely say that if this were DnD, we would be the ultimate murder hobos. What do you do when you have killed everything? Well, you keep killing them until they are meaningless! Luclin is currently being farmed for all that sweet sweet moon loot. We are on course to continue our murdering spree into the domain of the gods next. At this point, we are only a little more than a month out from the Planes of Power; if you are looking to come on this journey with us, come gear up in Vex Thal. Be sure to contact an officer in-game or on Discord if you are interested. It is time to begin our next great adventure; setting off to the land of Velious to plunder the lairs of dragons, giants, and dwarves, we leave behind the idyllic landscapes of our home continents. While we are old hands at killing both gods and dragons, the might of the denizens of this frozen land cannot be underestimated. Frostreaver’s dwarves, the Coldain, are the least of the factions that claim this land as their home. Living within a frozen mountain in the north of the continent, the dwarves have created a city that is nigh on impenetrable by their enemies (or so they think), a choke point in the Great Divide being the only entrance. Deeper still, beyond where even the bravest of foes would tread, lies the Icewell Keep. 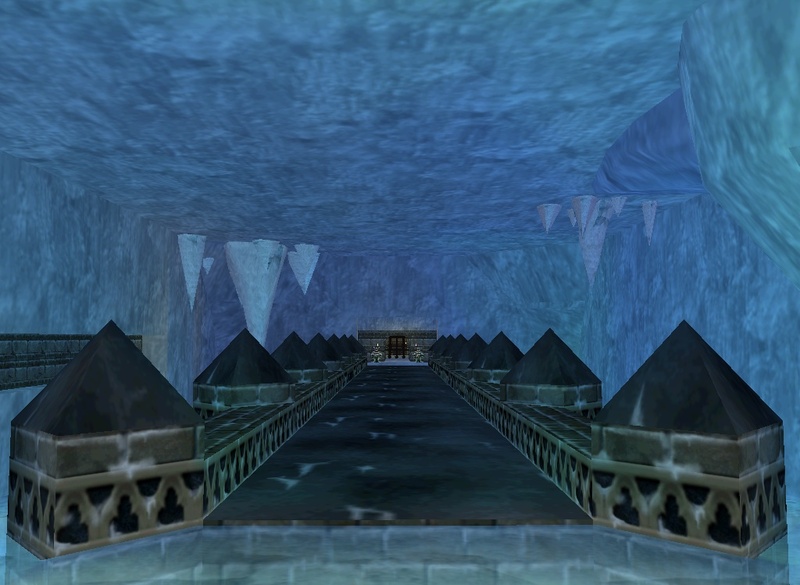 Icewell serves as the final respite for the dwarves if they should ever truly be invaded by their greatest enemies. Rallos Zek, the Warlord, has many followers amongst the mortals of the realms; however, perhaps the most devout and most powerful of his followers make their home in the city of Kael Drakkel. Ruled by the mighty King Tormax, the giants have fought to claim this land from the Dragons since time immemorial; however, in recent centuries, they have had to deal with new invaders on their flank, the dwarves. In order to fight a war on two fronts, the giants have split themselves into two separate factions, the Kromrif and the Kromzek, battling the dwarves and dragons respectively. The Claws of Veeshan have claimed this land as their own as long as there has been land to claim at all. Amongst the first creatures of creation, they stand as some of the mightiest creatures to exist in the mortal realms. Where the other races’ greatest strongholds are also their greatest cities, the dragon city of Skyshrine; while mighty in its own right holding the current lord of the dragons, Yelinak; pales in comparison to the Temple of Veeshan, inside which an adventurer would meet the greatest examples of dragonkind available in these frozen lands. Considering the relative might of each of these great races, one would think that finding allies and siding with a single one of these great armies would be wise; however, we will not be underestimated. Our guild will stand as a fourth faction in these unforgiving lands, and we above all others will reap the benefits of being the mightiest of the factions. Plundering one to ally with another just to switch again and plunder the ones we were just allied with; Ashen Oath will not side with a single faction but instead take advantage of all three to ourselves all the greater. 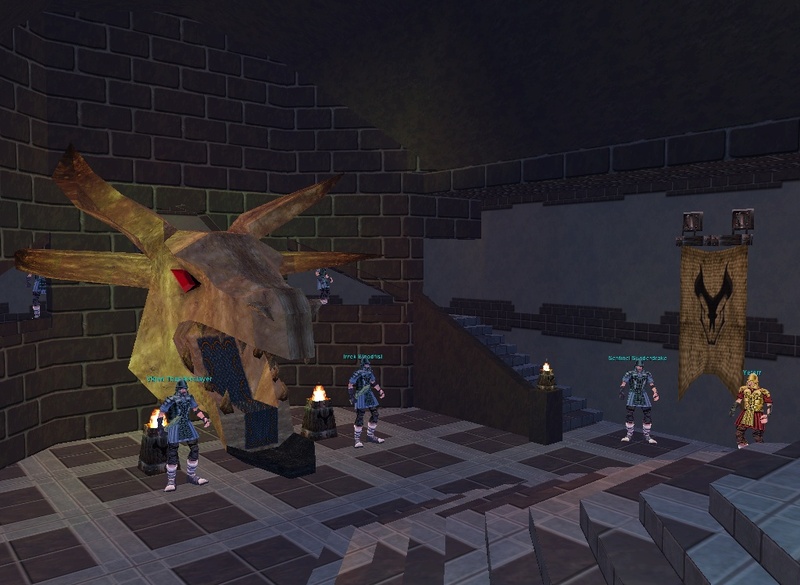 So, Kunark is a thing, and apparently, it is a thing that we do well. Over the course of the last few weeks. Ashen Oath has met and overcome all of the challenges before it. Curious how many of the the bosses of Kunark have fallen before us? It is Time to Prepare for Battle! We have some major fights coming up in the coming weeks, and it will be helpful for us all to be familiar with the fights themselves and the zones in which those fights take place. Below I have included some basic information on the bosses we have coming up in the near future; if you click on their image, it will also take you to a page that includes the strategy! Click Here to Join Server! Please login with your Username and Password below. Don't have an account yet? Create one here!